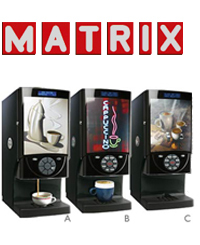 All the features of the larger machines, but at a fraction of the size! With an all new intuitive control panel, increased capacity and at a very competitive price, this is the tabletop built to exceed your expectations. 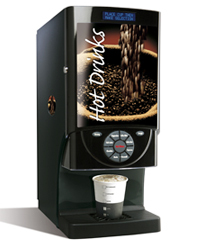 The closest thing to proper coffee in an instant! 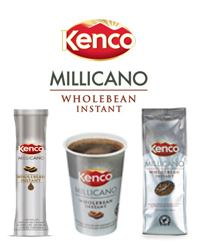 Kenco Millicano is a clever combination of instant coffee and finely milled, Arabica whole beans giving coffee lovers the convenience of instant with the smooth full bodied taste and rich aroma of roasted and ground coffee at home. This system has been specially designed for outlets where quality, speed and full utilisation of space are required. At only 16.5 cm wide, the main advantage of this system is the ability to site it almost anywhere! 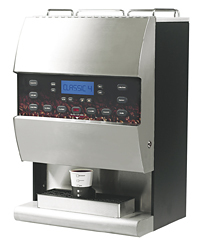 This mid-sized machine is the big brother of the Mini Magnum and Monarch, being slightly larger in size with increased canister capacity for the busier site. With its stylish stainless steel and zintec chassis, this flexible professional machine provides both quality and speed. 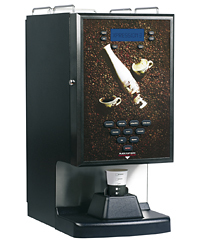 The Classic 4 has been improved with the addition of the very latest upgraded mixing system, 4 canisters, backlit graphics, LCD display and high speed whipping system. This range of machines is without doubt the most advanced table top line-up to date, offering three different canister configurations each with its own upgraded mixing system. Built to perform and constructed entirely from stainless steel and zintec, the quality and longevity of this range puts it at the top of the tabletop market. The Vitale S can satisfy the tastes of the most demanding palates with outstanding consistency and quality. 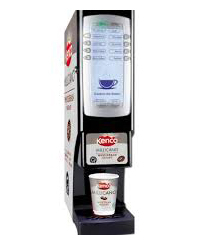 This versatile machine differs from the others in our range as it grinds fresh beans but uses soluble milk and chocolate for easier refilling, cleaning and maintenance. or 1000 disposable ripple cups with lids.